Things you don’t need to pack for a trip to New Zealand. While there are many packing lists out there for things you need to pack for New Zealand, what about the things you don’t need to pack? 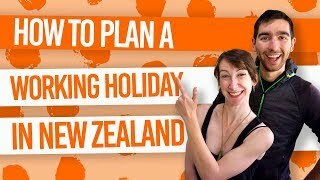 You can save a lot of space in your luggage knowing that there are a few items that you think you may need but definitely don’t need when travelling New Zealand. We’ll go through it all in this list of what not to pack for New Zealand. There’s always the anxiety when packing for a long trip that you will forget something, so you end up packing things you just don’t need. We have picked up on some of the things that backpackers tend to pack that they end up throwing away when realising that it takes up too much space and, well, they just don’t need it! For more of what you do need, check out The Ultimate Packing List for an Extended Trip in New Zealand. Leave the dresses, high heels, suit and tie at home. 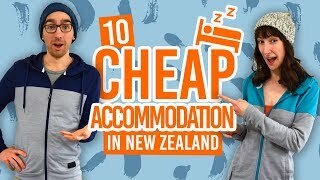 Although there are some upscale bars and clubs in New Zealand’s larger cities, as a backpacker you will probably not want to go to these places. However, most bars and clubs have a super casual dress code, so there’s absolutely no need to fill up precious backpack space with outfits you won’t end up wearing. Pack some “smart-casual” clothing instead that you can wear on different occasions. Most hostels and even holiday parks either have hair dryers in the bathrooms or they are available to borrow from reception. Hair dryers tend to take up a lot of space in your backpack, but you can definitely get away with not packing one. Additionally, you’ll find that people in New Zealand and fellow travellers just won’t care how made up you are. First off, if you’re doing outdoors activities in New Zealand and it starts raining, which it will, a waterproof jacket is going to serve you far better than an umbrella. Plus, people in New Zealand just don’t use them at all. New Zealand’s largest cities are in coastal areas where it tends to be too windy for umbrellas. So an umbrella is an item not to pack for New Zealand! Don’t do it! Not only are cotton towels extremely bulky, but you’ll also find they’re impossible to dry when you’re constantly on the move (then they start to smell and that’s just nasty). Get a fast-drying microfibre travel towel instead, like this one for example. They take a fraction of the space in your backpack and stand a better chance of drying off properly every day. Travellers cheques are an absolute no-no for New Zealand. Not only are they expensive to get in the first place, but you’ll find them hard to redeem in New Zealand. If you are coming to New Zealand on an extended trip then we recommend opening a New Zealand bank account then transferring funds to your New Zealand bank account using a foreign exchange broker. We have more information on that in How to Transfer Money to Your New Zealand Bank Account. Arrive in New Zealand with enough cash for your first week, then use other payment methods, such as credit cards or your NZ bank card, for security reasons. If you like to read then congratulations, you’re one of the few of us remaining! We recommend just bringing one or two books for the flight to New Zealand. Then make use of the book exchange shelves found in most hostels. Even better, get yourself a Kindle for under NZ$100 or download the Free Kindle App to read e-books on your phone. Consider also trying Kindle Unlimited for free for 30 days to get unlimited books and audio books – so much luggage space saved! Sure, if you have a favourite brand of shampoo that you can’t live without, then buying shampoo in a foreign country can be daunting but stocking up on toiletries takes up way too much space in your luggage. Not to mention the possibility of a major shampoo explosion. The point is, you can buy toiletries all over New Zealand so it’s best to just buy them on-the-go. If you take prescription medication, however, it’s a good idea to have plenty of them for your time in New Zealand. Biosecurity in New Zealand allows you to bring up to three-months’ worth of prescription medication into New Zealand. Any more and you will need a letter from your doctor written in English. Additionally, you can also buy prescription medication in New Zealand. Follow our advice in How to Get a Medical Prescription in New Zealand. Wait, what? Ok, do pack some clothes but be very very selective. Clothes take up the majority of your luggage space and there’s nothing more frustrating than realising when you get to New Zealand, there are items you are not wearing and you have to get rid of them. Only pack for your first couple of seasons, then there will be plenty of opportunities to get different clothes either cheaply through secondhand stores or fellow backpackers or treat yourself to some new attire. 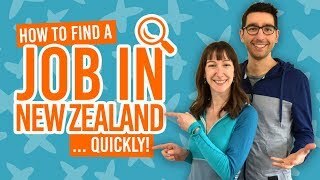 Take a look at What Clothes to Pack to Travel in New Zealand for an idea what outfits you should pack. If this is the first or longest time you will be away from home, then it can be tempting to pack mementos of your friends and family to cope with the homesickness. Well, the best way to cure homesickness is to keep yourself busy and have your mind on your gap year in New Zealand, not looking back. Home comforts like photos, cuddly toys or lucky charms can have the opposite effect when trying to cure homesickness. So save the space in your backpack and keep your home comforts safe at home.